I’m able to consistently produce the finest single varietal (Athenolia) extra virgin olive oil exclusively terroir driving. 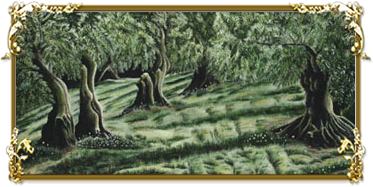 My groves have a special magic, a terroir born of centuries of care and development. The right varietal, soil, and climate create a perfect circumstance, a magic kind of “right.” Because of the mild wet winters, I allow time for our olives to ripen and mature naturally on the tree. I decide each year which field to start the harvest. The Athenolia olives will have developed the right amount of olive fruit (meat) and olive pit assuring tremendous olive to oil pressing yields. 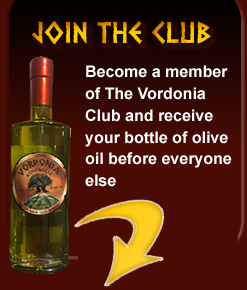 My goal is one kilo of oil pressed from only three kilos of olives which equal to 34 percent oil. Travel just a few miles down the valley or even a few hundred yards the soil, location, time of harvest and olive press techniques will vary; the Athenolia and all other olive varietals are affected producing oils with lower olive to oil pressing yields; On average one kilo of oil pressed from 8 kilos of olives which equal to 12.5 percent oil. Low oil yields affect the quality, flavor, aroma, color, acidity and shelve life of the oil. It is extremely rare to have all the right elements (Terroir). Every grower, every producer, is bound to his region. 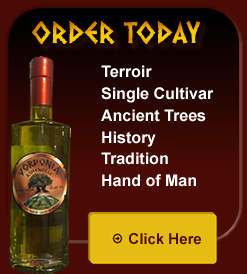 The varietal, climate, soil, location will determine the flavor, aroma, acidity, and quality of the oil. The grower can only choose how to live with these conditions, how to harvest the best possible olives that the region will allow. I maintain perfection left to me from our ancestors with the mission that, as I strive for the exceptional each year, you share it with us. Get The Original Art by Michael Theodore Sideris. With the same love and compassion she exhibits to her family and grandchildren, Mama Angeliki (Kiki) shares these wonderful recipes with you.